The Irish Society of Chartered Physiotherapists is an extremely proud sponsor of the VHI Women’s Mini Marathon for the 5th year. 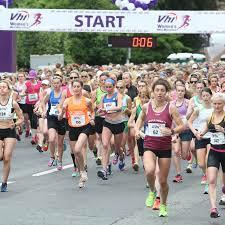 The VHI Women’s Mini Marathon which takes place every year on the June Bank holiday where over 20,000 women participate and raise millions for charities across the country. It has become a key event in the sporting calendar and the ISCP are delighted to be involved in it. On the race day itself the Irish Society of Chartered Physiotherapists run a Cool Down and Massage Tent. The Cool Down gives participants an opportunity to cool down from the marathon correctly with the help of Chartered Physiotherapists. The massage tent also gives women an opportunity to receive after race care. You can sign up by clicking the link Here.